Replies: 15 (Who? ), Viewed: 6123 times. 2. Base Hood (with townies & hopefully NPCs); Base Game only. 3. University subhood (with dormies); Base & Uni only. 4. Downtown subhood (with Downtownies); Base & NL only. 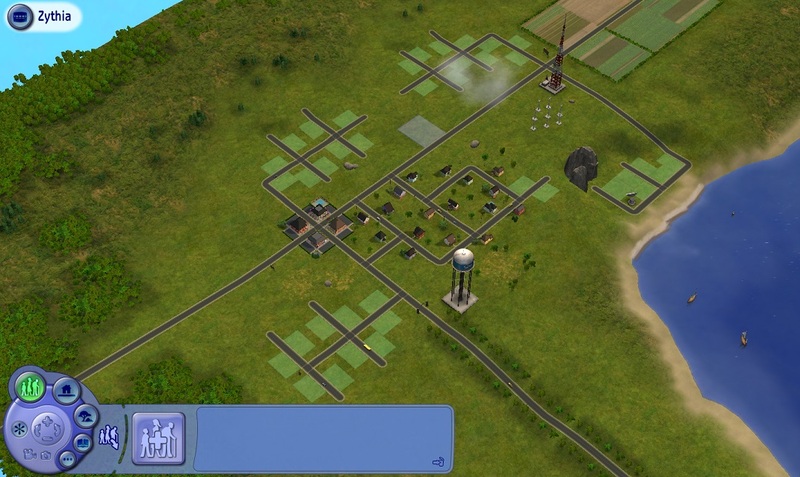 5. Business subhood (sans Sims); Base & OFB only. 6. Base Hood (with townies & Playables); Base, Uni, NL, SSNs, & AL required. 7. Complete set (All neighborhoods with Playables, NPCs, Townies, etc. ); ALL EPs/SPs required. 7 will basically be the grand finale of the whole project, containing a COMPLETE neighborhood, complete with subhoods and characters generated. Most, if not all, lots will be updated from previous uploads to add in and take advantage of all objects from the entire collection of TS2 sets. What do y'all think? Does anyone possibly want to see my style of building and maybe help me build? I have all the Sims under control, but this neighborhood will have MANY, I repeat, MANY lots. I am very OCD and picky about my style of building, so I will warn you I might edit your lots to make it more of what I consider "perfect." However, it would be extremely appreciated if I ever want to complete the project! I am very serious about it. I've already started on the base. I might one day finish my Zanes Hollow project, but I wouldn't hold my breath. Until then, you can see what I'm up to on my Simblr! Want a specific style of house or community building? Why not take a look at my profile and see what I build and then come ask me to make it! Sounds wonderful, but a lot of work. It would be wonderful to have a set like you describe. Speaking as someone familiar with the long haul - do not think about the long haul. Think about this piece in front of you right now. It is far too easy to start on a grand project like this, come up against the "saggy middle" when the excitement goes out, and never finish it. But if you break it up into little pieces and do one project at a time, with rests in between, suddenly you're in a place where you can fit them all together and get your one big project. This is work you're undertaking. Work that has to come out of playtime. I believe you can do it, and I believe it would be worthwhile for you to do it. I will even volunteer to help playtest. But only you can do the work, and you'll need to make up your mind to do it. Which is not the same as talking about it. Sorry about the slow reply. I had kind of forgotten I had made this thread! A playtester would be amazing, thanks! 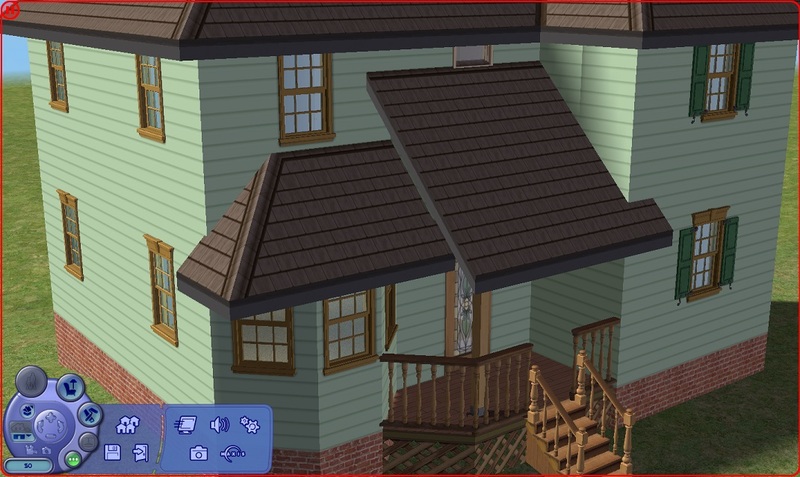 I am still working on the second part, but I admit that I have taken a bit of a break because I decided I would allow myself to play some actual Sims. I definitely get burnt out on building - and when that happens, my quality goes down. But yeah, it's been over a month on now, and I am still just as excited about it as I was before! I'd like to help you build base game lots. I enjoy being given requirements and trying to meet them. I also won't mind having my lots edited. If you're interested, you could send me a pm. Either way, best of luck! Great! Thanks!! I PM'd you with more information! Anyway, I need your guys' opinion. With UC out now; is it even worth making a BG version of the neighborhood set at all at this point? Should I just make the three versions; one unpopulated, one with townies & NPCs, and one with Playables that contain all of the EPs and Subhoods? Not everybody has or wants the UC (it's not compatible with a lot of older mods and tools that we rely on; some people like to run a limited game on a less powerful machine, some people hate the features of one EP, etc.). If you want this project to be available to every single simmer, BG is the way to go. No one will refuse to download it because of that, and many people would refuse to download it, or would be unable to use it to maximum effect, if it were made with the UC. Thanks! I think that's what I'll do. I think I'm just going to make a BG subhood though. All the subhoods will only be part of the UC download. As much as I'd like to do the whole project... if I want to get it done before Sims 5 comes out, I shouldn't make the project bigger than that. You need OFB to make a subhood. I started building the lots, and for some reason I made an executive decision on my own to put CC in the base version! So, my question is, when making a neighborhood, is it safe to remove the CC after being placed and using that as a CC-free version, or am I screwed? Full Set of Maxis Match Wall Cabinets by CTNutmegger because I am furnishing all the house's kitchens. For me, personally, I don't like not having overhead cabinets in the kitchen. Decorative Parking Spaces - with random cars parked by MogHughson because the "downtown" community lots have parking spots, and I think it looks better when a Sim enters a lot with random cars parked in the parking lot. All suggested items are on MTS, so I doubt anyone would be "scared" to download the item and there is a CC-free version, so if a Simmer doesn't like the CC given, they don't have to use it. Also, I have attached a picture of what the neighborhood looks like thus far! You can delete the CC from your Downloads folder without any issues. The next time you load the affected lot, all of the CC you used will be either deleted or replaced by similar objects. So you should be fine! For those who accept the use of CC, what are some universally accepted CC items that are acceptable to be placed in the neighborhood? Anything that is not generating a NPC object. You can use custom build and buy mode objects; they usually don't corrupt the neighborhood and they are usually safe to remove. But if you install objects like farm animals or rideable bikes and such objects, then you have to install these objects and must not remove them. If you remove this type of object, the neighborhood will get corrupted. You may ask why. It's because this type of object generates a new NPC object like Grim Reaper or Mrs. Crumplebottom. The custom NPCs will stay in your neighborhood. Even if you remove that NPC-generating object, the leftover NPC files won't be deleted and can't be deleted. If the object that you've installed was cloned from the remote control car toy, then the object will generate a new NPC if installed. Your neighborhood looks beautiful, by the way. Glad to see you're working on this! The important CC to leave out are things that create NPCs (like many animated devices, animals, and all alternate PT mods) or otherwise do more than look and behave in accordance with what they were cloned from. If you have anything that overwrites game files, leave it out - you'd be making a decision for the player that you have no right to make. Anything else, you take it out and it appears as whatever it was cloned from, or in the case of clothing is replaced by random clothes. You'd have to go around making sure you didn't leave anything like that in a house. But you'll find it a lot easier and less finicky to build the CC-free version, then add the CC. There is no consensus or set of rules. Only you know what CC is necessary to fulfill your vision. Thanks very much for your responses! This time around I've come up with a game plan: one lot per day, after work. Not a rule, though. If I don't feel like building I don't have to, but if I can do that then I might be able to get this done in a few weeks! I remember one of the bigger reasons I didn't go back to working on the project when I got some free time (and, rather started playing Veronaville), was because I had burnt myself out by mass building for multiple days straight! I really wish I hadn't placed all of those staircase walls, but on the bright side it at least forces me to go through and double check every lot I made! Definitely going for the CC version first. Started building my first lot in years (gosh, I CAN'T BELIEVE I CAN SAY THAT), and I'm a bit rusty to say the least. Oh well, not every lot is going to be to everyone's liking! Well, I actually like the roof type. It's unique!